Autism can be one of the most difficult diagnoses to accept for parents. This is particularly due to the challenging symptoms associated with autism spectrum disorder. As with many things that society does not understand, autism has a certain stigma attached to it, too. This can make it quite difficult for families struggling to cope with an individual who has the diagnosis. There are many influential individuals, such as Lloyd Claycomb, who are desperately trying to change people’s views on the disorder. 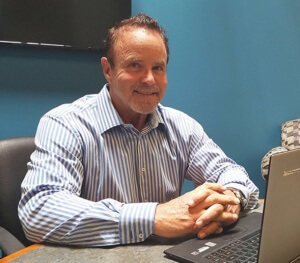 Claycomb is known for the success he has achieved with his company, United Builders Service, Inc. For more than 38 years, Claycomb and his business have been involved in constructing residential, healthcare, and retail structures. Mr. Claycomb is now determined to ensure that other people benefit from his accomplishments as well. Mr. Claycomb and his wife, Karen, are striving to change the public outlook on autism. There are some people who view autism as a disorder that needs to be fixed. One of Claycomb’s goals is to get society to begin viewing autism differently. Claycomb feels that this is becoming important, now more than ever. It is estimated that one in every 68 children is being diagnosed with autism. 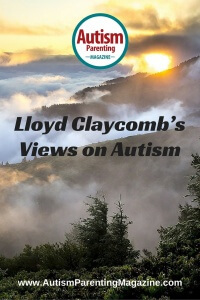 As there are a greater number of people being identified, Claycomb says, “It’s time that autism becomes accepted and understood.” Lloyd’s perseverance stems from a personal experience as he has watched his friends struggle with having their toddler being diagnosed with autism. He is aware, firsthand, of the many trials that such individuals must face. The Claycombs have been major contributors to the cause. They have raised hundreds of thousands of dollars in an effort to spread the word about autism. They believe that education is the key to helping the world truly understand this disorder. Lloyd also considers further research pertinent to discovering more about the origin and the functioning of autism. This was one of the reasons why he pledged his personal resources to the Southwest Autism Research and Resource Center (SARRC) in Phoenix. The donation was made on the 27th of April, as a contribution to Autism Awareness Month. The Claycombs have planned other events in order to make a maximum impact too. They are hosting a fundraiser to help gather even more resources for the SARRC. It is projected that the event will receive an amount upwards of $75,000. Lloyd and his wife are hoping that this will be one of the many functions held to raise the necessary funds for the research. Lloyd Claycomb is not just a philanthropist to the autism cause, however. He supports numerous charities all around the world. He has donated $40,000 to Child Help and has spent almost half a million dollars on Amazing Facts, in an attempt to spread the gospel to several areas such as China.